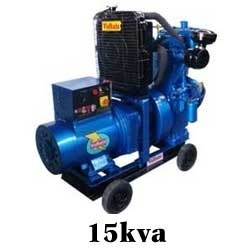 We are offer 15 kva power tec brand open type generator with 20 hp engine coupled with 15 kw alternator base frame, wheel etc. Ready to use for agriculture use. We are a preeminent organization that is engaged in manufacturing, supplying, importing and trading Power Generators. Our 10 kVA Powertec brand open type generators can be availed with 14 Hp engine that is coupled with 10 kw alternator base frame. Available in variegated specifications, these products are used for agricultural purposes. We are a well-known organization that is engaged in manufacturing, supplying, importing and trading a vast array of Power Generators. 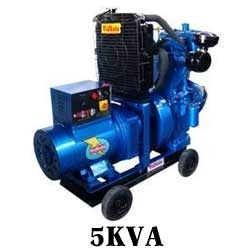 These 5 kVA powertec brand open type generators are manufactured using excellent quality material that is sourced from most trusted vendors of market. Our range is stringently inspected on certain parameters of quality in order to ensure its defect-free nature. Looking for Industrial Generator & Machinery ?